Choose a contractor committed to quality workmanship, superior service, and improving the way you live. 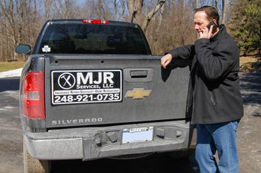 MJR Services LLC has been a licensed, full-service contractor since 2002. We offer interior and exterior renovations including drywall and plaster repairs, painting, custom carpentry, flooring, windows, and vinyl siding. At MJR Services LLC, we pride ourselves on quality workmanship, integrity, and timely service. Located in Farmington Hills, MJR Services LLC serves Oakland and Wayne County. We offer detailed free estimates for any new or repair project. If you have damage caused by water, wind, ice/snow backup or fire/smoke, filing an insurance claim can be frustrating. We have years of experience handling insurance claims and will help you from start to finish. No matter the cause of the damage, MJR Services LLC can handle the repairs. MJR Services LLC also does significant retail work. Call us for any interior or exterior project. Our team is here to make your project run smooth from beginning to end.